Diggers Eco In-Ground Timber Protecta is a non hazardous ‘creosote alternative’ that provides a tough bitumen coating to improve protection against moisture and deterioration on timber and masonry surfaces. 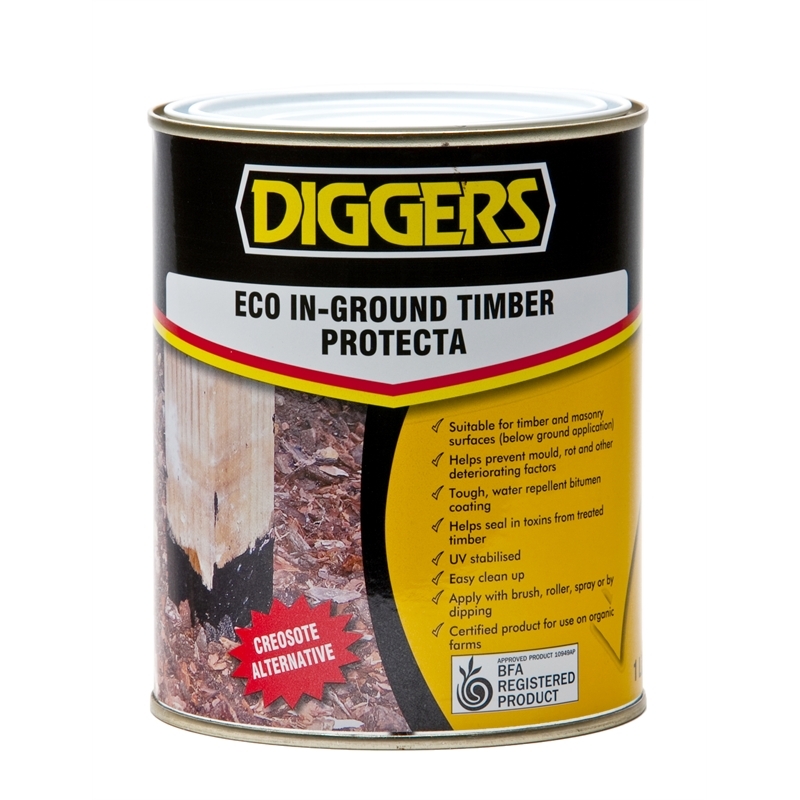 Diggers Eco In-Ground Timber Protecta is easy to apply with a brush, roller or by dipping and as a BFA registered product, is suitable for use on organic farms. 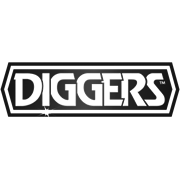 Protector for fence posts, veranda posts, sleeper walls, garden stakes/poles, veggie patches, retaining walls and any other application where timber or masonry is installed below ground.